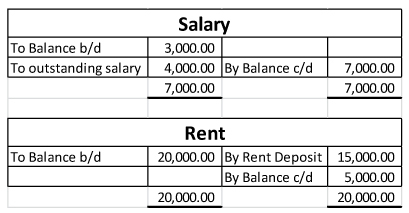 Home Books and Accounts What is Adjusted Trial Balance? While final accounts are being prepared at the end of an accounting period, ledger balances are also required to be updated with relevant adjustments which are a result of partial, improper and transactions which were skipped. 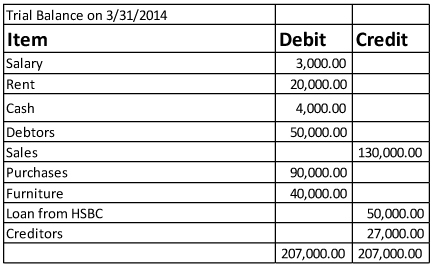 Examples of such transactions are depreciation, closing stock, accruals, deposits etc. Once identified adjustments are done in the ledger accounts to bring them to their appropriate levels. Once all the necessary adjustments are absorbed a new second trial balance is prepared to ensure that it is still balanced. 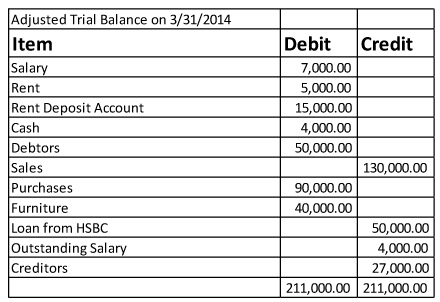 This new trial balance is called adjusted trial balance. All ledger balances and their respective debit and credit balances are listed within this and are further used to prepare the financial statements of a company. The following additional information is also to be incorporated in the above trial balance thereafter an adjusted trial balance is to be furnished.